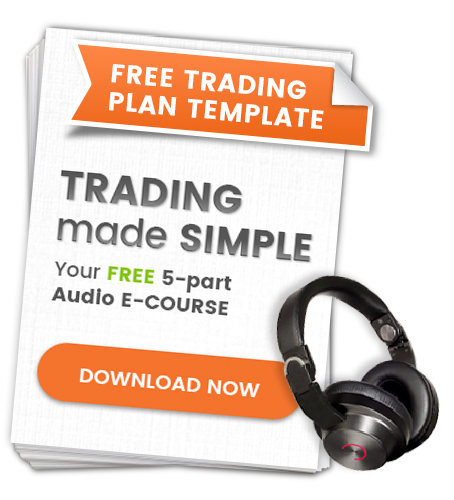 If you're serious about trading effectively, and maybe one day doing the Trading Game Mentor Program, then this book pack is for you. It will provide the ideal preparation required to complete the Foundation level of the program, and will give you an insight into the trading methods used by Louise Bedford and Chris Tate. You'll receive three of Chris and Louise's best-selling books, all in the one convenient pack, for an incredible 10% discount. 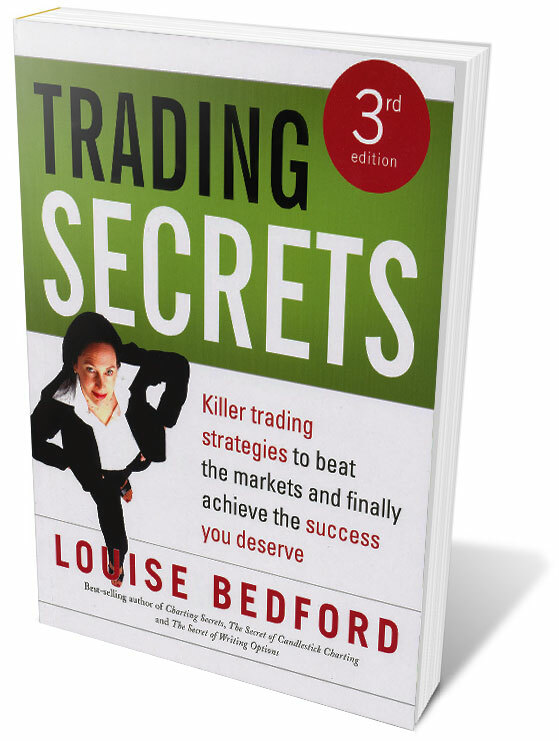 Best-selling author Louise Bedford becomes a trading coach for the reader as she shares more than 20 "secrets" she has discovered on the way to becoming a successful trader. Covering such topics as the business of trading, psychological factors, developing good habits and trading plans, this book will provide aspiring traders with the necessary tools for success. It takes the guess-work out of trading, and allows you to develop your own characteristic style as a sharetrader, while following essential success principles. This is the ideal companion book to one of Louise's other books - Charting Secrets. These two books were written to work together, so you'll get the best value if you read both of them. If you're looking for guidance on how you can put all your knowledge into practice, Charting Secrets is the book for you. 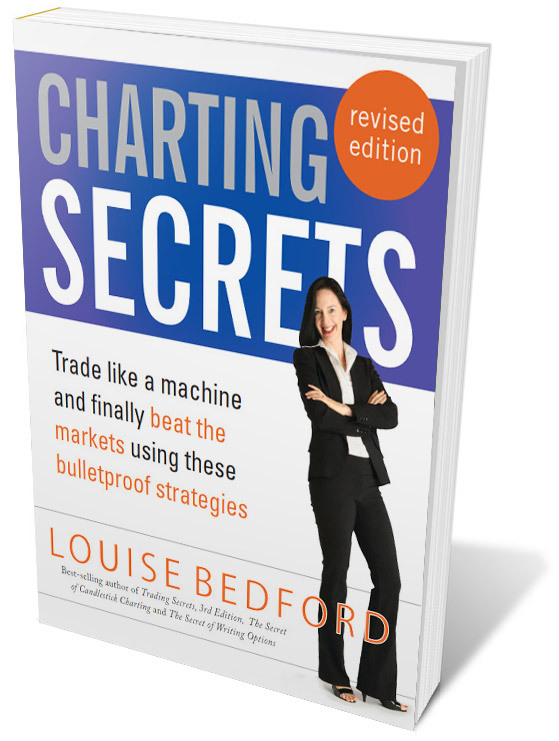 Written by Louise Bedford, one of Australia's most recognised traders, Charting Secrets is a workbook specifically designed to show you how to use technical analysis and charts. Given enough opportunities to practice your skills, you can become a successful trader. All you need to do is master the basics. 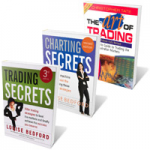 Not just another trading book, Charting Secrets is a workbook that will have you practising what you have read, and really learning the techniques, rather than just reading about them. Louise starts with explanations of charting patterns and methods, and provides charts for you to practise on. In her usual easy-to-read style, Louise will have you recognising v-reversals, shooting stars, share stages, double tops, triangles and tasuki gaps in no time. 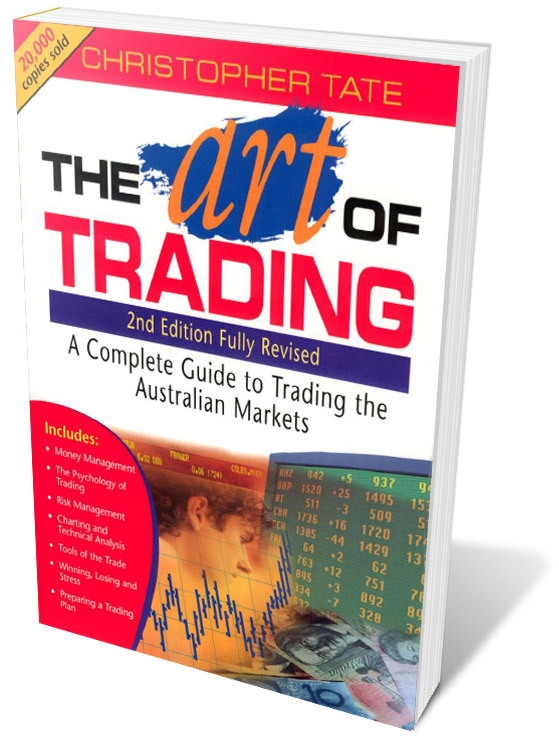 Filled with exercises and hundreds of historical charts as examples, this book will show you how to recognise patterns as they occur, and develop the skills and confidence you need to actually start putting your share market analysis into practice. With Bedford as your coach, this is the best way to develop your skills and put them into practice, so grab your pencil and ruler and get ready to chart your way to success. This is the second edition of the hugely successful Art of Trading, by high profile private trader and author Chris Tate. The first edition of this book sold over 20,000 copies. Fully revised and updated this second edition includes information on charting and technical analysis, money management and risk management. If you know anything about Chris, you'll realise that he doesn't mince his words, and his incredibly successful charting techniques have lead thousands of traders to attain extreme profits. Read this book and you'll be well on your way to becoming a successful trader. Order your pack today, save 10%, and develop the foundation required to excel in the Mentor Program and beyond!